Olga de Amaral is a textile artist, who combines, art, craft and design. Using fibre, paint, gesso and precious metals, she creates two-dimensional, textile-based sculptures. In her engagement with materials and process, Amaral’s work become essentially unclassifiable and self-reflexively authentic. 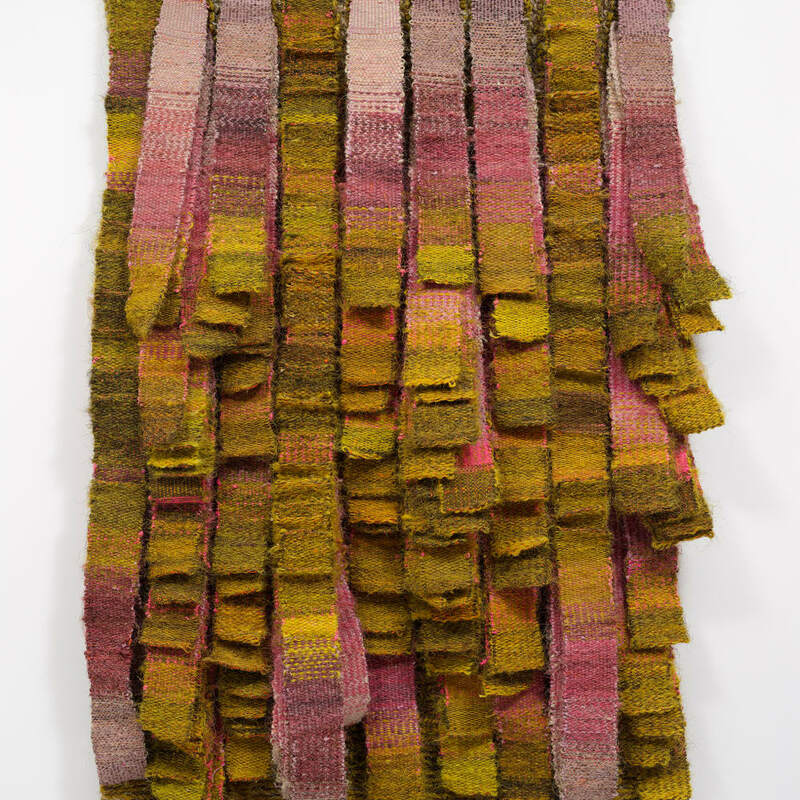 In their engagement with materials and process her works become essentially unclassifiable and self-reflexively authentic. Amaral is an important figure in the development of post-war Latin American abstraction. Her work is deeply driven by her exploration of Colombian culture and her own identity. Architecture, mathematics, landscape and socio-cultural dichotomies in Colombia are woven together through the use of thread. Her creation of ‘off-stretcher’ works, using non-traditional materials, acquires greater historical resonance with each passing year.